My husband and I were both born and raised in NYC boroughs. It wasn’t much of a coincidence then that both our families vacationed in the Pocono Mountains in Northeast Pennsylvania. While the Poconos remains a popular vacation destination, it has undergone some stark changes over the years. Famous from the 60s and 70s for images of honeymooners and heart-shaped tubs, today’s Poconos are actually a really family-friendly destination. The once “Honeymooners Capital” of yesteryear is now the capital of the indoor waterpark. 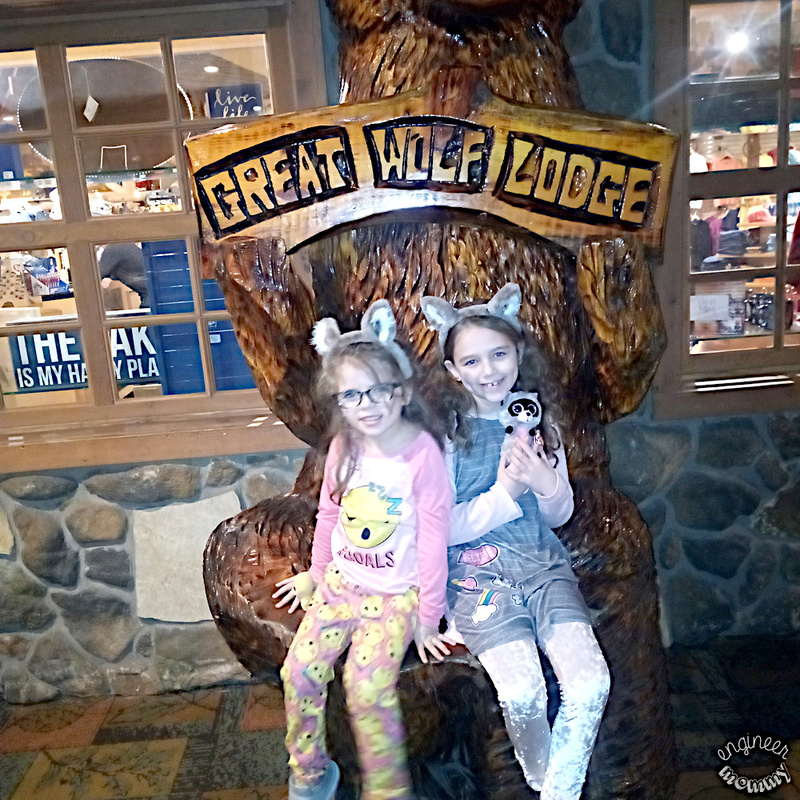 We recently took a long winter weekend at Great Wolf Lodge, one of the best-known of this kind. That starts my list of 5 great ways to enjoy the Poconos. 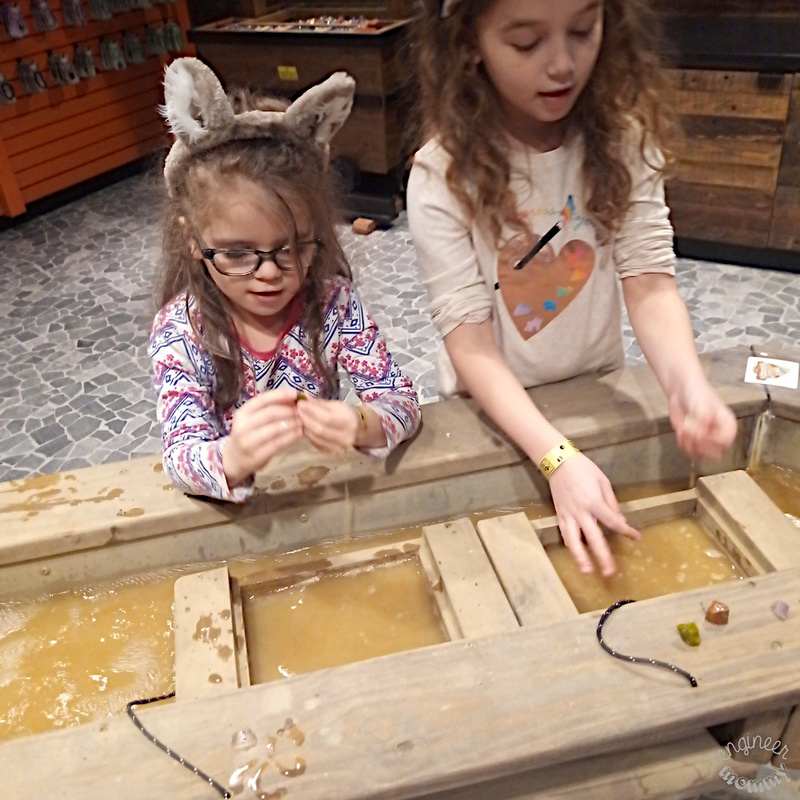 Most of the indoor water parks in the Poconos (there are four, including H2OOOO at Split Rock Resort, Aquatopia at Camelback Beach Resort, Kalahari Resort, and Great Wolf Lodge) invite families to stay at the hotel on premises and really indulge in a complete experience. 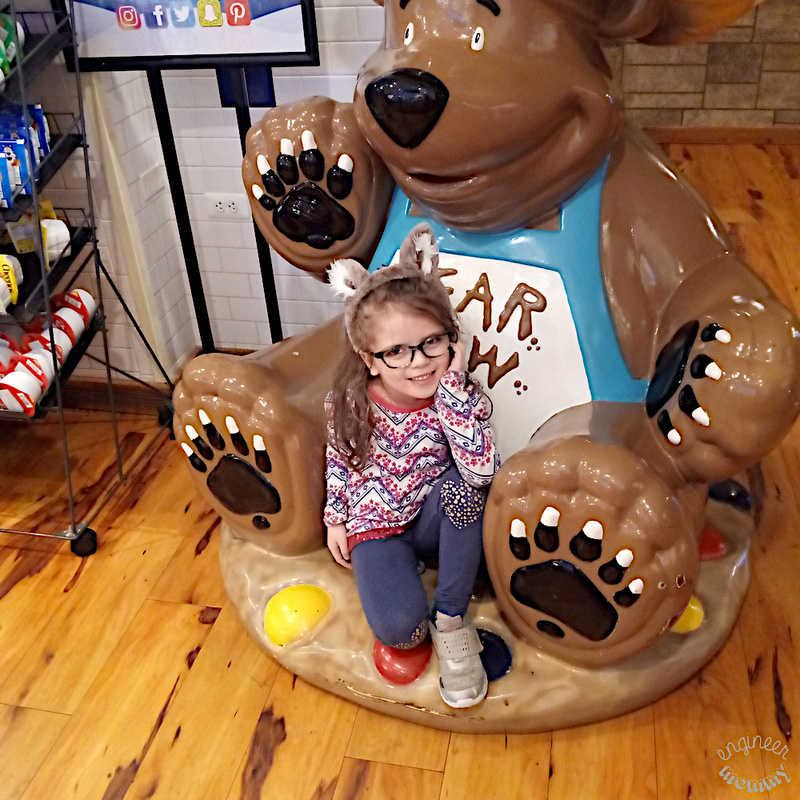 When we arrived at Great Wolf Lodge and checked in, we were very impressed with the activities and amenities available (in addition to a huge indoor water park). 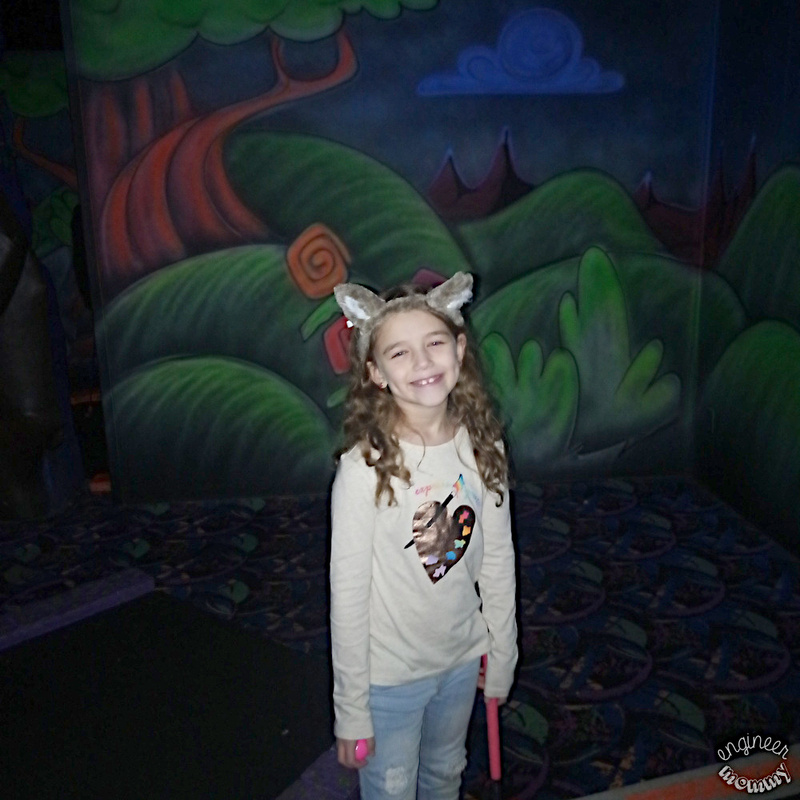 These included an on-site candy store, Dunkin’ Donuts, full buffet-style restaurant, kid’s spa, glow-in-the-dark mini-golf, mini-bowling, and arcade with ticket redemption. There was literally no reason to leave the premises, which is fortunate as it was 20 degrees & snowing outside for most of our stay! The waterpark itself had a terrific wave pool (which was my personal favorite), numerous water slides appropriate for everyone (from toddlers to thrill-seeking adults), water basketball, etc. After the water park closed for the day at 8 pm, all of the kids got in their PJ’s and came to the lobby for storytime and a character show. It was the cutest thing! If known for something these days other than the indoor waterpark, the Poconos have garnered acclaim for their ski slopes. Numerous slopes accommodate beginners, making it a great family activity. Snowboarding is also a popular way to have some fun in the area. Kids and adults love to get inside by a fireplace and have a hot chocolate afterwards, making this a great place to make family memories. 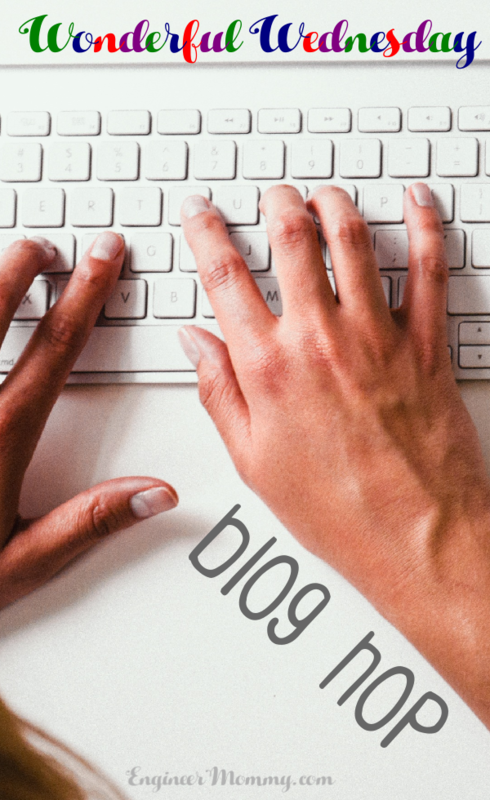 We loved visiting some great local flea markets and antique stores during our stay. I am always on the lookout for furniture pieces that I can rehab or make my own, and the Poconos can be a gold mine for this. The kids loved getting some old-fashioned candy at the local Country Kettle general store, which had over 250 barrels of unique candies. We found a bunch of off-beat places in the area to hang out as a family, including Big Wheel Roller Skating. 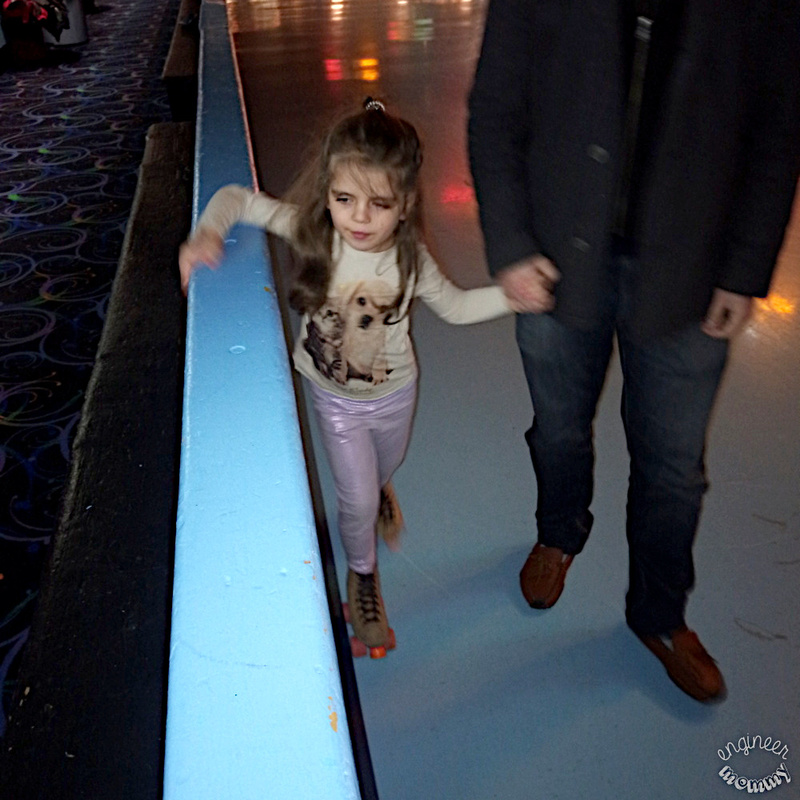 Both girls had a blast putting on skates, and enjoying the lights and upbeat music. This really brought back some great memories, as I used to love indoor skating as a kid. These places typically also have an arcade for added fun, and Big Wheel did not disappoint. While winter offers plenty of options in the Poconos, the warmer weather is my favorite time to explore the area. Bushkill Falls offers a scenic hike amidst some beautiful natural waterfalls. Lake Wallenpaupack offers kayaking, boating, swimming, and beautiful lakeside trails to enjoy sunset or sunrise. Any family would have no trouble relaxing and enjoying nature together this time of year. Have you ever been to the Poconos before? What do you like to do in the area? I haven’t ever been there, but I remember it being a honeymoon destination. It looks like there is a lot for families to do there now. I live within a 3 hour distance of a Great Wolf Lodge and I have never been there. It is on my bucket list for sure. I know my family would love to stay in the fun rooms and they would love the water park! When Bob and were married in 1977 we considered the Poconos deeply. It turned out that our honeymoon budget was pretty non-existent so we decided on Kansas City. I haven’t been there. What hotels or room accommodations can you recommend to foreign visitors like me who would want to go with the family (3-4 people) near the indoor water park? This looks so fun!! Looks like your kids had an amazing time. How cute! What a awesome trip destinations for families! I am sure my kid will have a lot of fun there! I’ve never been to the Poconos before, but I would love to go there with my family one day. I’ve heard it’s a beautiful area.